Tanga is now offering a subscription to Disney FamilyFun Magazine for only $3.50 with the coupon code DISNEY. At 10 issues a year, that is 35¢ an issue! 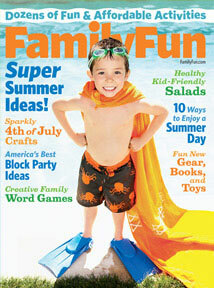 This magazine is stocked full of great crafts and activity ideas for family time! You can get up to 3 years at this price.